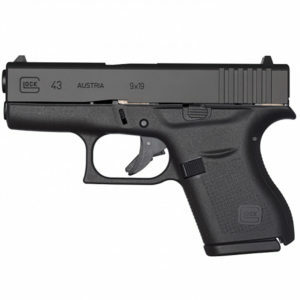 The Glock 43 Gen 4 is a 6 round, 9mm slimline subcompact pistol that was introduced in mid 2015. 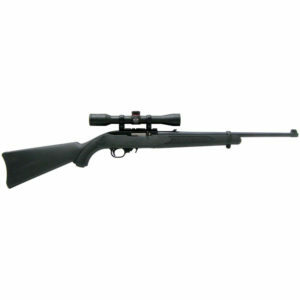 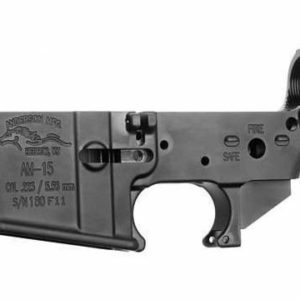 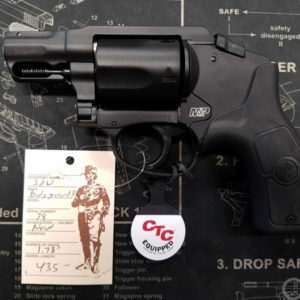 It is the perfect concealed carry handgun and is extremely popular with Law Enforcement as a backup and off duty weapon. 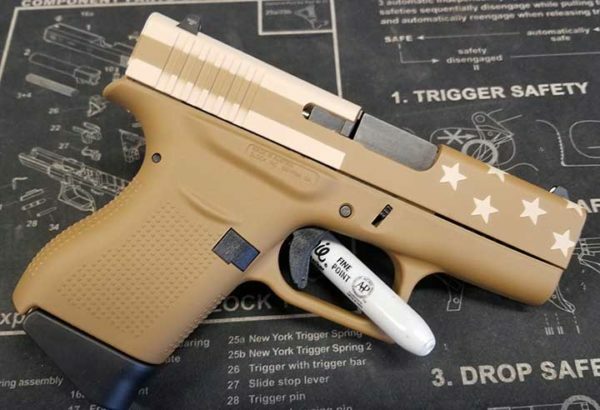 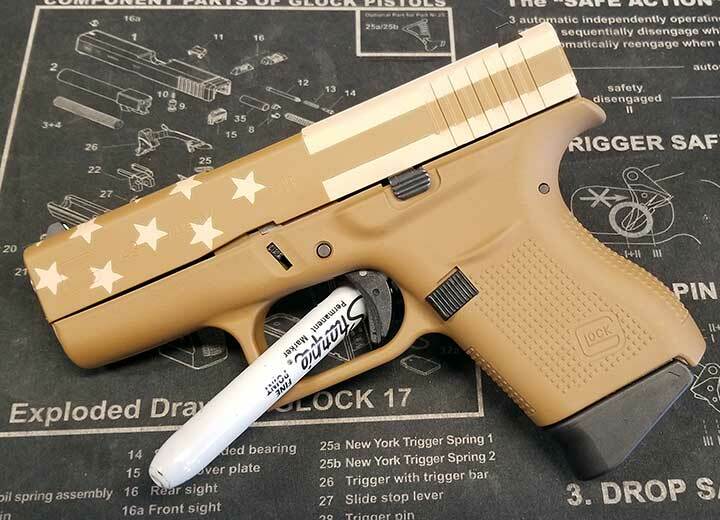 This is a limited edition Flat Dark Earth / American Flag combination.